As the summer season draws to a close, that doesn’t mean all ideas of vacation need flee until winter. In many locations, as seen in St. Tropez, autumn is the perfect time to visit. Usually you will find less of a crowd and, in the case of Miami Beach, some great events to help pass the time when you’re not whiling away the hours poolside at your luxury villa rental. In October alone, the city of Miami is hosting two great events that shouldn’t be missed if you’re vacationing there at the time. 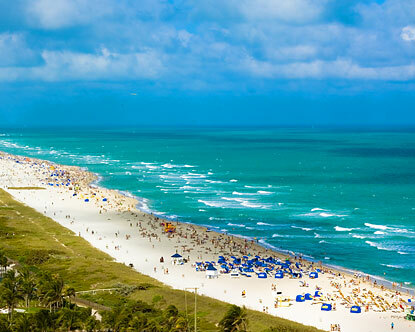 In fact, they’re pretty great reasons to plan a jaunt to Miami in October, even if you had no prior plans to visit. Next to Paris, Milan, and New York, Miami has steadily risen in stature to be seen as a city of great ideas and fashion. Much like how different wine regions in the world produce a wide range of wines as a result of their climate and environment. so too does the vibe of a city shape its contribution to fashion and culture. Because Miami basks in balmy, sunny weather most of the year and skirts the Caribbean, it’s location and stature produces apparel, fashion accessories, designer handbags, and other fashion-related trends that are particular to warm climates. Because of this, Miami is also the go-to city if you’re looking to plan your winter beach wardrobe. There’s hardly a better place to buy all you’ll need for your vacations to luxury villa rentals in Miami or other locations this winter. Held from October 21st to the 23rd, Miami Fashion Fest is the city’s premiere fashion event, shifting its focus to clothing and style with runway shows, in-store gala events, and personal appearances by designers. You can choose to partake in a Poolside Pamper Me Spa Experience then head to DASH Miami for more festival-related events or take a seat at the Jones Magazine fashion show being held on the 23rd. You can also buy tickets for the Versace fashion show taking place on October 28th to benefit the Jackson Memorial Hospital. While the city of Miami plays host to the Miami Fashion Fest, most of the fashion designers, models, critics, and celebrities that attend the event stay in waterfront luxury villas throughout Miami Beach. Earlier in the month, on the 15th and 16th, vino aficionados can head to the Miami Beach Convention Center to buy and taste a wide variety of wines. While Miami — or even the state of Florida for that matter — is not known to be a wine-producing region, many of the residents of Miami Beach bring with them an expert knowledge of fine wines. Together with a strong tradition of gastronomy and gourmet cuisine throughout the Miami region, wine is a a serious passion for residents and luxury villa vacationers to Miami. With exhibitors from countries like Chile, New Zealand, and Argentina, this wine fair offers exposure to diverse types of wine. In all, there are more than 1,200 wines from 15 different countries than can be tasted at this year’s wine fair. 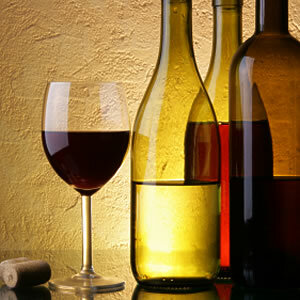 Tickets for the Miami International Wine Fair can be purchased online. Whether you are looking for some sun and fun or a little something extra to go with your luxury villa rental stay in Miami, the city has much to offer in the months leading up to its winter high season and, of course, well beyond. This entry was posted on Saturday, September 4th, 2010 at 9:55 am	and is filed under Miami, Restaurants. You can follow any responses to this entry through the RSS 2.0 feed. You can leave a response, or trackback from your own site.